Earlier this summer Square Enix released a new trailer that played during the orchestra tour. In that trailer they stated that they will be releasing a new trailer July 15th a D23. 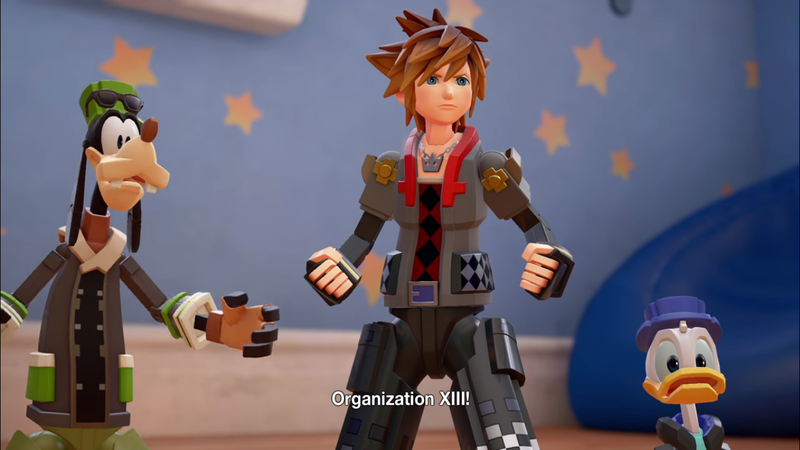 Square Enix kept good on their promise to release a new trailer for Kingdom Hearts III. The trailer is mostly a gameplay trailer but it does reveal a lot. You aren't limited to just 2 party members anymore. According to the trailer you can have at least 4... Not sure it this is just limited the Toy Story world or not, but i doubt it. Buzz and Woody looks exactly like they do in the movies. Sora has the ability to pilot mech-like toys in the Toy Story World. In the midst of all the Game of Thrones hype it was nice to get some new on my other guilty pleasure. While there is so much good about the trailer there is some things I;m not a huge fan of. I'm not really a huge fan of Keyblade Transformations. The name Keyblade represents a blade, I don't think it should be transforming a gun. I can't wait to see what else they release.